I'm in love with the flashfoodbox for so many reasons. Today, I received my first box which by the way weighed a ton. It was a whole bunch of fresh food for little money. When you're talking deals than you're speaking my language and flashfoodbox is a deal with a big heart! Flashfoodbox was created to fight food waste. So many perfectly fine foods are thrown out because they don't look a certain way. For example, I received HUGE carrots. Okay, it was almost comical how large they were. These sweet carrots would never be sold at the grocery store just because they're massive. Which I find silly. Guess who is going to love these carrots. Our horse, Stella, she will like it, and it's big enough to share the love with her horse friends. As you can see I think the fruits and veggies are perfect. It makes me sad that we live in a society where even the food we eat needs to be perfect before we eat it. Hence, the FlashFoodBox was born. The FlashFoodBox works with local farmers that sell to the grocery stores. The items that are not "perfect" are sold to FlashFoodBox at a discounted rate instead of being tossed into the garbage, therefore, preventing food waste. My box was loaded with goodies. It had potatoes, orange peppers, onions, chicken burgers, cucumbers, mushrooms, oranges, sausage, and meatballs just to name a few items. FlashFoodBox contains 14 meals making each serving only $3. FlashFoodBox is for the Metro Detroit area. 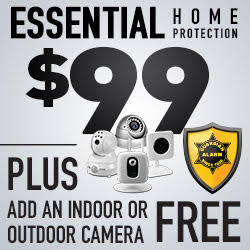 You can make a one time purchase for $35.99 or weekly/bi-weekly delivery for $32.39. These boxes are a fantastic price. 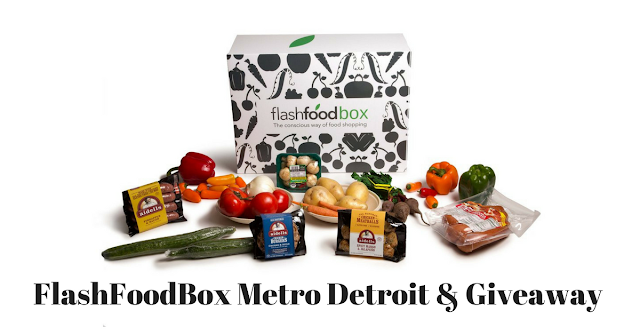 Enter to win a box from FlashFoodBox Metro Detroit. You MUST live in the delivery area to win. There will be two winners!